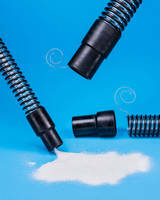 For wet or dry vacuum applications, FlexaustÂ® Commercial MRO General Pick-Up Accessory Kit comprisesÂ flexible polyethylene copolymer, 1.5 in. x 15 ft Flx Plus Hose reinforced with integral polyethylene helix;Â 1.5 in.Â swivel cuff; 2.25 in.Â adapter;Â 4 in.Â utility tool; and 1.5 x 11 in.Â crevice tool. When ESD is of concern, FlexaustÂ® Industrial MRO General Pick-Up Accessory Kit includes same accessories but features StatPathÂ® Plus Conductive Hose with 103–105 Ω/square surface resistivity. A new line of commercial and industrial MRO vacuum pick-up kits offered with either standard or static dissipative hoses, accessories, and utility and crevice tools is being introduced by Flexaust of Warsaw, Indiana. The Flexaust® Commercial MRO General Pick-Up Accessory Kit features a lightweight and flexible polyethylene copolymer 1.5” x 15 ft. Flx Plus Hose which is reinforced with an integral polyethylene helix, a 1.5” swivel cuff, 2.25” adapter, a 4” utility tool, and 1.5” x 11” crevice tool. This kit is suitable for wet or dry vacuum applications and the hose features a smooth interior and is highly abrasion-, crush-, and chemical-resistant. 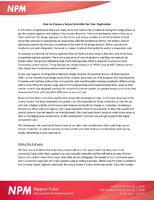 Flexaust® Commercial and Industrial MRO General Pick-Up Accessory Kits are priced according to type and quantity. 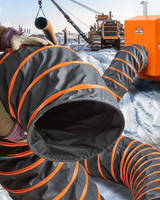 Portable Heater Duct helps keep workers comfortable. 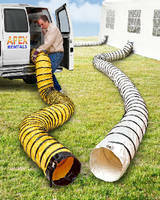 Dehumidification Stitched Duct withstands rental abuse. 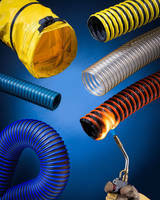 Ventilation Blower Hose is offered with custom color matching. 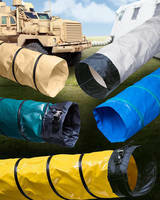 Flexible PVC Hose suits liquid transfer applications. 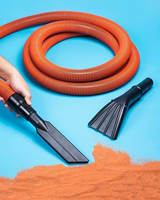 Hoses feature overmolded cuffs for hermetic seal. 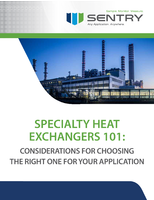 Universal, One-Wire Hose meets global requirements. 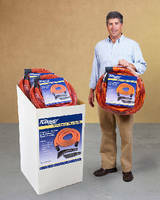 Crimpable Thermoplastic Hoses offer leak-proof design.